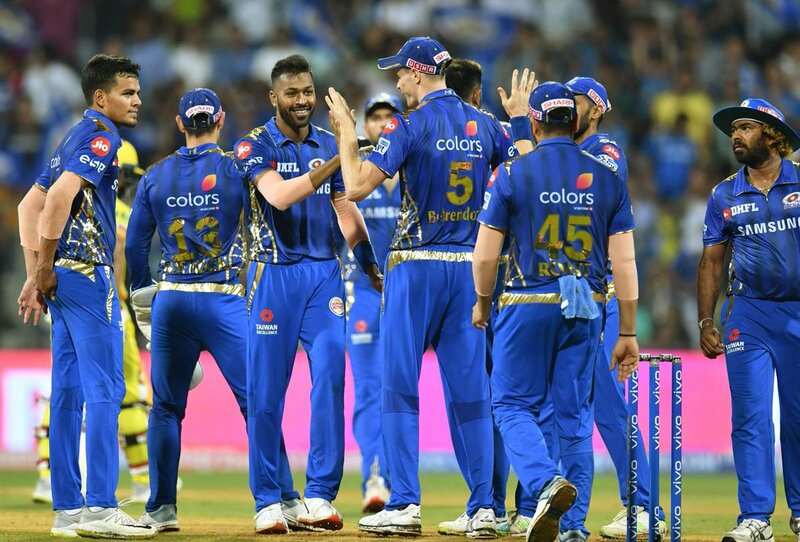 Mumbai: Mumbai Indians beat Chennai Super Kings (CSK) by 37 runs in the Indian Premier League (IPL), played at the Wankhede Stadium here last night. It was the first defeat of CSK in the IPL 2019. With this win, Mumbai Indians became the first franchise to register 100 Indian Premier League wins. The Rohit Sharma-led side achieved the feat in their 175th match. Invited to bat first, Mumbai Indians scored 170 for five and restricted CSK to 133 for eight in the stipulated 20 overs. Hardik Pandya was the star of the night for Mumbai Indians as he scalped 3 for 20 and smashed 25 from just 8 balls. 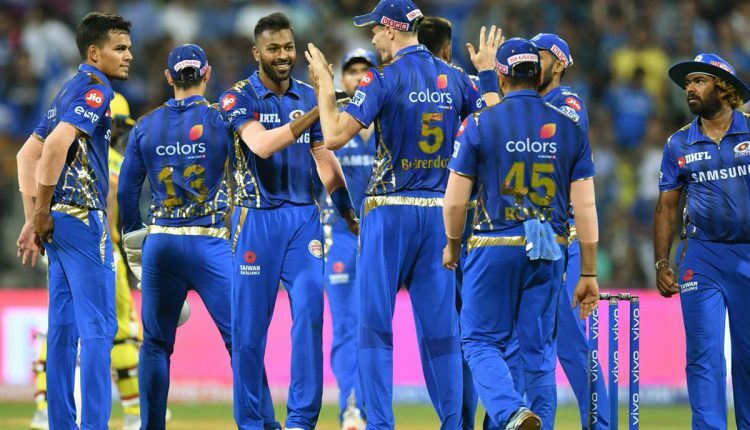 Mumbai Indians: 170/5 in 20 overs (Suryakumar Yadav 59, Krunal Pandya 42, Hardik Pandya 25 not out). Chennai Super Kings: 133/8 in 20 overs (Kedar Jadhav 58; Hardik Pandya 3/20, Lasith Malinga 3/34; Jason Behrendorff 2/22).